SRDV Technologies provides a platform by which a customer makes an online Hotel Booking unique. Our system shows around 1,20,000 hotels globally and around 35,000 domestic hotels. 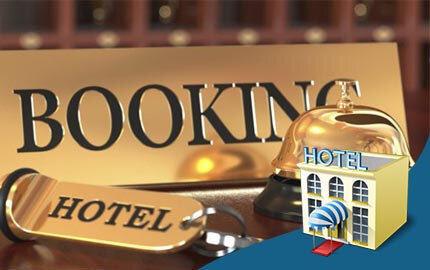 Our Hotel Booking System is directly connected to the APIs in which the data is fetched directly and the results are displayed in the form an Invoice. 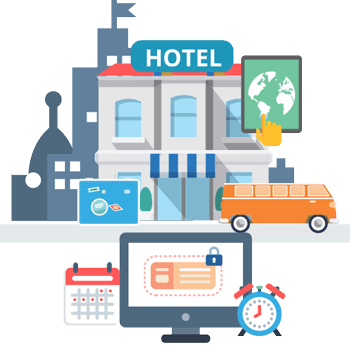 After selecting the hotel segment, it will redirect to the payment gateway for payment. And then the customer can generate the invoice. We are providing the Travel Portal Services in India, USA, UK and many more countries. Easy Management Of Hotels and Rooms.